"iPhone X is simply joyful to use"
Sinofsky, who spent two decades working on Office and then led the development of Windows 7 and 8 before leaving Microsoft at the end of 2012, posted a series of Tweets concluding with the observation, "iPhone X is simply joyful to use. Apple deserves massive credit for inventing a new paradigm on top of the most successful one ever." His tweet storm also referenced how Apple's original Macintosh mouse was received in 1984, citing an old PC Week column that had complained, "the mouse is yet another in the long line of computer devices that try to make our work easier and more efficient. I am not convinced that it will." 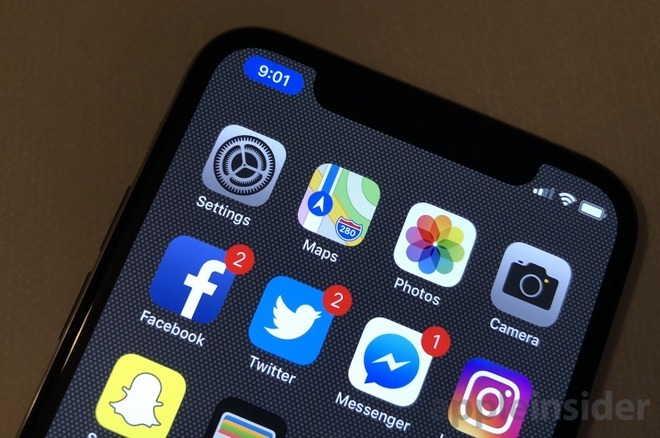 But the original subject Sinofsky referenced was a more modern complaint about Apple's shifting of the iPhone X user interface from the Home button to gestures, which appeared in an article published by Fast Company. It called iPhone X "a user experience nightmare." Sinofsky responded with, "oh please," defending Apple's design savvy and the advancement of moving from a Home button to a full panel display driven by intuitive gestures. The "user experience nightmare" article was written by Jesus Diaz, a former Gizmodo writer who has maintained a deep disgruntlement with Apple ever since his former site paid $5,000 to buy a stolen iPhone 4 prototype, but then failed to make any use of it to bargain with Apple for access or even reveal any of its significant features. While Diaz and his associates did spoil some of Steve Jobs' surprise in posting the new phone's new design back in 2010, he and his staff couldn't figure out that the phone would introduce FaceTime, the Retina Display, the first gyroscope or Apple's initial "A4" custom chip in an iPhone. They just took photos of it, remotely bricked by Apple, and refused to return it until the police came investigating. "There was so much animosity and they were very critical of Apple"
Those authorities subsequently wrote "there was so much animosity" among the Gizmodo employees, "and they were very critical of Apple. They talked about having Apple right where they wanted them and they were really going to show them." One officer wrote, "it was obvious they were angry with the company about not being invited to some press conference or some big Apple event. We expected to see a certain amount of professionalism—this is like 15-year-old children talking." That background helps to explain why Diaz is now, seven years later, writing regular new articles complaining that Apple is hopelessly wrong about everything. Just within this week, Diaz first wrote, "We Don't Need The iPhone X," a 2,000 word screed that sounds blown from the same sad trombone that honked out "animosity" and contempt "like 15-year-old children talking" for Apple back in 2010. Diaz hates Apple so much he had to put a definite article in front of iPhone, the modern equivalent of spelling "Mac" in all caps. "The iPhone X," he screams in his first paragraph, "is a sham. The epitome of fluff over function. The penultimate step in Apple's downward spiral toward replacing the Ramsian Less is more' with the more, more, more!' of a greedy kid in a cupcake shop." What grace and brevity of thought! But wait there's more, more, more: "Rather than focusing on solving problems that everyone has-like battery life that lasts for more than a few hours of usage, materials that are truly durable, or reception quality-the iPhone X is just a shiny jar of candy..."
Well, iPhone X does extend battery significantly, and Apple isn't exactly regarded a slouch in battery performance. The case of iPhone X is specifically lauded as being more durable than the cheap designs of Android. But what else is there to complain about? First, the display: "it's all screen, except when it's not," Diaz writes, before adding, "do you really need a 5.8-inch OLED display?" Which is it? Never mind, it's all just angry words from a thesaurus ("penultimate?" That word means 'second to last,' or that Apple would have one more flop after iPhone X 'forces people to have the cupcakes they don't want or need'... actually it makes absolutely no sense on any level). Diaz's next lengthy section can be summed up in one line: "we didn't need Face ID and its depth map of 30,000 invisible dots to unlock our phones or pay for a cab. Touch ID worked just fine." Is this a Dana Carvey "Grumpy Old Man" sketch from 1990's Saturday Night Live? Next he moves on to the A11 Bionic, where he appears to lose some of his faith in how wrong Apple is: "Do we need processors that handle machine learning—the capacity of a computer to recognize the reality around you and make intelligent decisions—faster than a regular processor? I don't know . . . probably?" Clearly he's just in pain. But that was only volume one. A few days later he took another stab at thoughtfully contemplating Apple's new UI, that "User Experience Nightmare." It wasn't as long, but it was just as hard to read. Citing another perpetual disparager of Apple, Diaz wrote, "new navigation gestures are the epitome of needless complexity over intuition. Need proof? 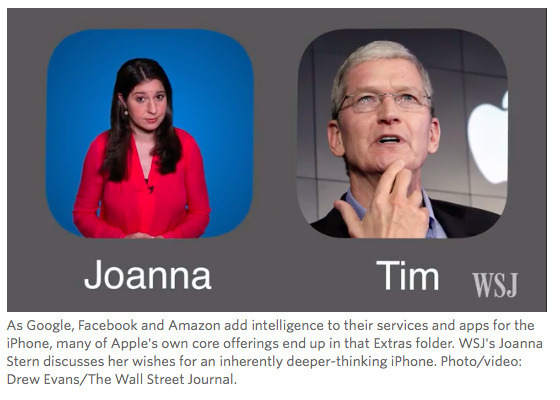 Just take a look at this cheat sheet published alongside the Wall Street Journal iPhone X review" by Joanna Stern. Stern worked hard to describe iPhone X as a disaster only she could fix, almost as if an allegory of another recent campaign. "The lack of a home button means your thumb is about to turn into one of those inflatable waving tube-men outside the car dealership," she wrote, continuing, "you must master a list of thumb wiggles, waves and swipes [. . .] Many moves require almost surgical precision." "Your thumb is about to turn into..." I mean, maybe if you just inhaled a fat hit of DMT? Those visuals! Also, if you have a surgeon who is struggling to unlock an iPhone X, find a new one. This critically psychedelic wordplay is from the same person who was a straight 'thumbs up' for the Galaxy Note 7, and maintained that it was a good phone from a great company even as the phone was literally bursting into flames around the world as Samsung's CEO was being thrown in a South Korean prison for fraud. In parallel, she described Apple's iOS apps and services as being unusable "extra," woefully behind Google, Facebook and Amazon (the three most spectacular failures in smartphone hardware strategy, outside of Microsoft), while offering Tim Cook advice like he was incompetently lost in his own office. It's kind of hard to say she's an excellent judge of character or technology. "With the iPhone X," Diaz concluded, sneaking in his defiant definite article again, "Apple has completely left behind Steve Jobs's original motto: Simplicity is the ultimate sophistication.' Now it's the ultimate mess." 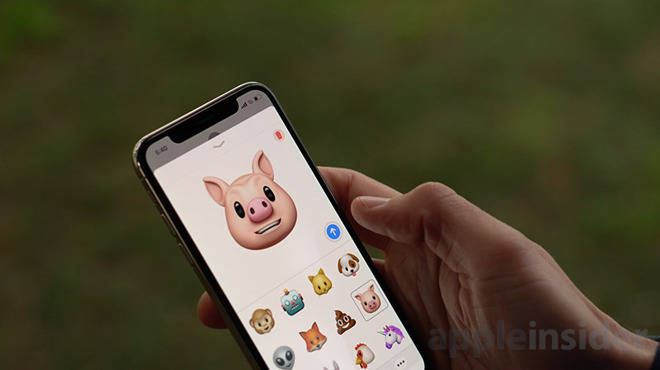 As we all know, iPhone X gestures are so complicated that nobody can figure out how to dig down into an iMessages app to flood Twitter with Animoji clips. If only Apple had thought to sell a phone with a Home button in a bottom bezel, so people could buy an iPhone 8! And then hopefully not turn it in for an iPhone X a month later because they thought it was a better experience. I don't know where to go with this. It's too stupid. If only I had the Wall Street Journal mapping out a logical escape plan, so my thumbs don't turn into Wacky Waving Arm Flailing Tube Dancers. Also, how do these people get paid to crank out this garbage? This year, Apple upset a lot of tech bloggers by giving pre-release iPhone X models to professional photographers (including Austin Mann and James Martin), YouTube personalities and other less conventional publications for review. Tech bloggers love to feel important, even though most of what mainstream tech blogs have written has been wrong over the past decade, and totally out of touch with real audiences. They laughed at iPad but were enthralled by failed Honeycomb tablets; celebrated Gear and Wear but expected Apple Watch to flop. They've insisted that everything Google executives say is trustworthy, whether it was the 2011 claim that TVs would soon all bundle Google TV, or than an Android Alliance would get Android phones updated and patched; or that phone apps would launch on Android first by 2012, or that acquiring Motorola would give Google all sorts of synergies as a hardware maker, or that Moto 360 was a "a big step in the right direction", or that Google Glass would ship soon at a reasonable price with support from designers, or that smartphones should be low priced unlike iPhones, or that Pixel 2's higher-than-iPhone price with an inferior screen was fine—you name it, they gobbled it up. 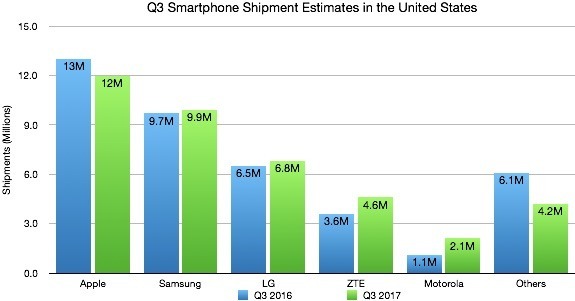 Apple's lead of the US market keeps getting more entrenched despite readily available, low priced commodity phones. Apple is also the only Western tech company to make major inroads into China and the iOS ecosystem keeps selling more commercial content—from paid apps to Apple Music subscriptions—and new wearables—from Apple Watch to AirPods. No significant audience of buyers has emerged for Google's Nexus or Pixel across the same series of years. 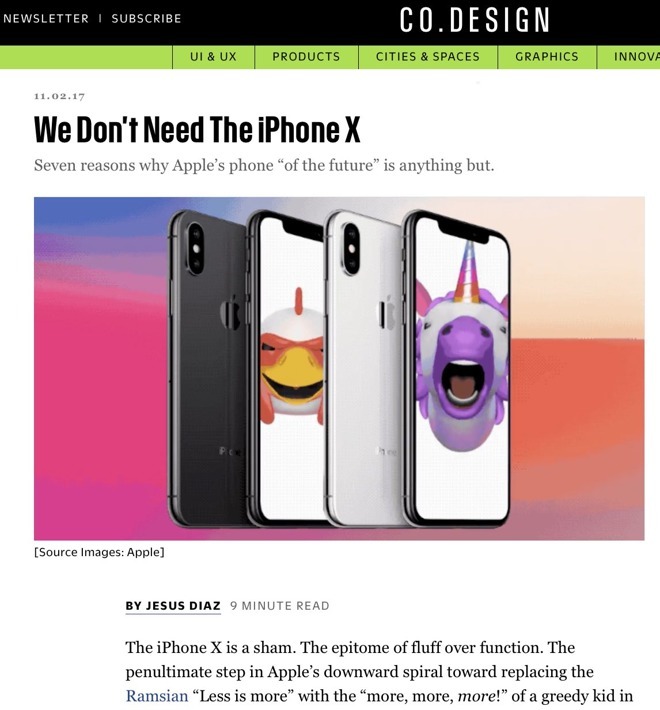 If you were Apple, would you waste all of your time with tech media outlets actively trying to disparage your work and find ways to break your products for clickbait, rather than working with real people who actually want to see technology develop in new ways that are useful, fun, and engaging? Apple can't quite bypass bloggers entirely, but it did manage to get iPhone X into the hands of real people as quickly as possible, resulting in real world public conversations that were based on first-hand use, rather than being dictated to the masses by people who are trying to build access for themselves with Apple's competitors. One example: a recent Reddit post titled: "iPhone X review from a new iPhone owner and lifelong Android user," where user Kevincav wrote of his personal experience with iPhone X. "I've been interested in the iPhone series recently due to the Ax chips. Loved how amazing Apple was progressing in the CPU market. Even beating Intel chips in some cases (I've been using MBP's for years now, even bought the new one twice now). So this is my background, basically brand new to the iPhone market. I also own an S8+ [Samsung Galaxy] still. "The two selling points for me was the processor, the machine learning / neural network side of things and AR. When I say neural networks, specifically the face recognition. I want that on most phones before this release. Spoiler alert it was about as good as I figured it would be. Which is phenomenally good. The [TrueDepth] dot projector is something I've messed with in the past with both Google's Project Tango and developing an autonomous robot. "iPhone's sensors impress me so much. I knew right away how well Face ID was going to be but it's still really cool to see it in action"
"I've spent a bunch of work with object detection and human recognition using dot projection, lasers and image processing. I know how good they are, I've seen it work day, night etc. The iPhone's sensors impress me so much. I knew right away how well Face ID was going to be but it's still really cool to see it in action. I hope this comes to other phones. That's a very big plus for me." His concluding verdict, "I think it's a phenomenal phone with amazing durability. I think once apps finally adapt the new look and layout it's going to be an amazing phone for anyone who wants it. Power wise I even like it better than my S8+. So well done Apple." Note that this user was interested in what iPhone X could do, not in trying to find a corner case of disparaging Apple's work featuring identical twins unlocking the same phone, after the company explicitly said that Face ID may not work to distinguish between people who are very closely related. The Reddit observations came despite this Android user describing its iOS app layout as "terrible" compared to his previous experience. However, readers of the post pointed out that he was essentially holding it wrong,' and rather than alphabetically organizing his apps as on Android, he could simply use Spotlight to launch any apps that weren't frequently used enough to put on the front Home page. Reader kurtthewurt commented, "your home screen arrangement is horrendous; it's no wonder you hate it. Arranging apps for usability on Android and iOS must be approached differently." iPhone X "is a beast. I literally just returned my Google Pixel 2 XL for it"
Another, jmikepr posted, "This phone is a beast. I literally just returned my Google Pixel 2 XL for it. The gestures are truly innovative. The OLED panel is gorgeous, the phone feels super premium. I'd never thought I'd come back to iOS. But here I am. I do agree with the OP. I hate how Apple makes you place apps. I miss the app drawer of Android and ability to place my apps on the bottom of my screen without having apps on the top. I'll get over it though. This phone is great." That user later posted, "I LOVED my Pixel 2 XL. It was a freaking beast. Best camera, period, hands down, bar none. It blew away the S8+, v30, Essential phone in terms of speed. But the screen is putrid. I even RMAed [returned it] because of burn in; second Pixel had burn in within a day. "Before I returned it I took it back out to give it one final chance to wow me. I opened identical images on my iPhone X and Pixel 2 XL. I then proceeded to box up the Pixel 2 XL and bring it to FedEx. You can figure out the rest. Think of the scene with Obi-Wan and Anakin as he screams You were the chosen one.' That is how I feel about the Pixel 2 XL." 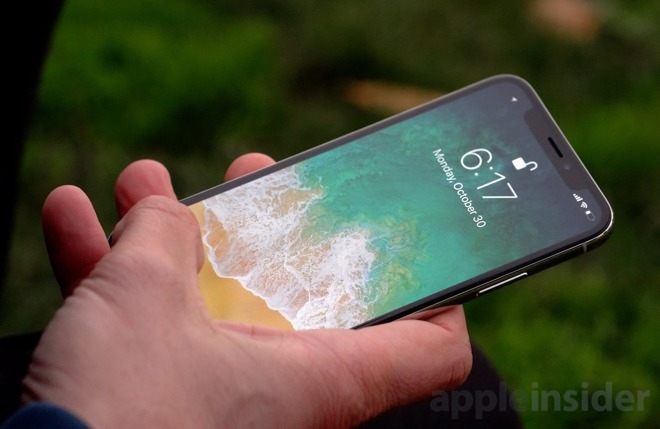 While real people who experience Face ID generally love it, prior to its launch a number of tech bloggers imagined that iPhone X's Face ID would take a long time to authenticate and would introduce a lengthy, dramatic pause in the process of unlocking, with some even insisting that Face ID couldn't possibly work well because they couldn't imagine Apple could implement it effectively. However, using Face ID is nothing like a Disney evil stepmother asking her enchanted mirror who's the fairest. It's far more magical. It doesn't require a sustained gaze or even any chit-chat. It's about as magically fast as a sink sensor that knows you're wanting to wash your hands. Face ID also a lot more magically fast than Siri, because it doesn't require a very low bandwidth vocal communication recording session, a roundtrip bitstream to the cloud, a computationally complex parsing of lyrically whimsical human speech, nor a human-readable organization of a complex response (or some additional low-data bandwidth speech). Face ID's handshaking literally communicates at the speed of light. We've all been impressed by how quickly machine learning routines can identify text, flowers, and even faces. Several years ago, Microsoft Kinect was responding in real-time to video game players jumping around and waving their arms. Apple's TrueDepth technology is related, but limited to a narrower, closer subject. It's fast. Face ID works as fast as you'd expect of an authentication technology developed by the same people who designed Touch ID. It's incredibly ironic that tech pundits have expressed incredible skepticism of Face ID to the point of arrogantly dismissing it before even trying it out, while imagining with doe-eyed fanaticism that verbal computing appliances—from companies who have only previously failed at hardware, no less—are the computing interfaces of the future. The only explanation is that Apple is decisively leading the former while other companies are plausibly beating Apple in delivering aspects of the latter. Campaigns to disparage Face ID by trying to find edge cases where it might not work flawlessly (such as by flooding the sensor with bright light) are reminiscent of iPhone 4 AntennaGate. They even use the same mocking "you're holding it wrong" battle cry. However, nobody complains that Samsung's displays aren't very bright when you cover the screen with your hand, that an Amazon Echo is hard to hear if you cover it up with a blanket, or that Google's Nexus 2 fails to take good pictures when you shine a flashlight into its lens. But for some reason, every major iPhone release has been met with a "holding it wrong" attempt to disparage its functionality with extreme measures that aren't applied elsewhere, as if Apple is just too good and desperately needs to be stopped by the people who couldn't manage to keep Motorola in business.